Ayumi DeLoney is a graduate of Komazawa University in Tokyo, Japan with a bachelor’s degree in Business Administration and Management. Diligence, dedication, patience and persistence are just a few of the qualities that embody the overall representation of Ayumi as a realtor and more importantly, as a person. She is particularly mindful of her clients’ needs, understanding that each client is different and comes from all different walks of life. Ayumi is meticulous and thoughtful with the home buying/selling process with her clients, clearly defining goals and expectations honestly and thoroughly. 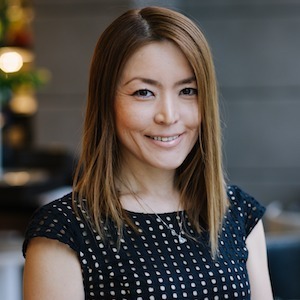 With her global background and being fluent in the Japanese language, Ayumi offers the professionalism and expertise needed for international clients to achieve their real estate goals. Ayumi joined Duong Kim Global in 2014 and has been a valuable team member ever since. Not only home buying/selling, she is also knowledgeable on Chicago rental market. As a recent appointee by the Illinois Association of Realtors as the liaison to the Consulate General of Japan, Ayumi’s local and international reach continues to grow, providing the resources and network necessary to assist her clients both locally and internationally.